A new ten year collaborative strategy to grow Scotland’s £3.5 billion events industry was unveiled. The strategy updates the previous version, which culminated in the unprecedented success of 2014 when Scotland hosted the 20th Commonwealth Games, 2014 Cultural Programme, The Ryder Cup and more than 1,000 events in the Homecoming Scotland 2014 programme. Produced with over 100 contributions from the public, private and third sectors, the strategy covers everyone involved in planning, securing, supporting and delivering events in Scotland. This includes major events of international significance and smaller events supporting local communities. Fiona Hyslop, Cabinet Secretary for Culture, Europe and External Affairs, said, “The events and festivals sector is a major contributor to the Scottish economy locally and internationally, creating jobs and making a significant contribution to our standing on the world stage. “This strategy draws on Scotland’s credentials as the perfect stage for events and the learnings from what was an unprecedented year for us in 2014. It sets out how we will build on our existing experience, expertise and reputation for hosting successful events by working together with a wide range of public, private and third sector organisations to develop an even stronger, more dynamic events industry for Scotland. ‘Scotland – The Perfect Stage’ comprises the Events and Festivals aspect of ‘Tourism Scotland 2020’, a strategy for the tourism industry established by the Scottish Tourism Alliance. Scotland has already been announced as host of golf’s global stars for The Open Championship in 2016, many of the world’s finest athletes for the European Sports Championships in 2018, and Europe’s footballing elite for UEFA Euro 2020. 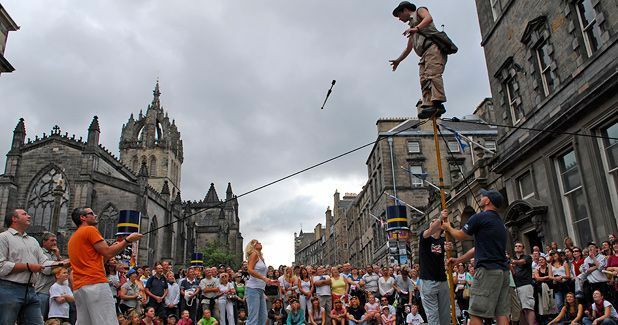 Landmark celebrations are set to take place in 2017 to mark the 70th anniversary of the emergence of the Edinburgh Festivals. Scotland is also one of two nations bidding to host the 2019 Solheim Cup at The Gleneagles Hotel in Perthshire, to be decided later this year.